Finally! I fully intended to post my review of the new Sublimage Le Teint foundation weeks ago when I first got that little pot of gold in my hands. After wearing it for a week straight, my overall impression is that it’s CHANEL’s best foundation launch of 2016. Last year, the brand unveiled four completely different formulas Les Beiges, Le Teint Ultra Tenue liquid, Le Teint Ultra Tenue powder and the Sublimage Le Teint. Each is different from the next but the Sublimage was always intended to be superior, and it is. 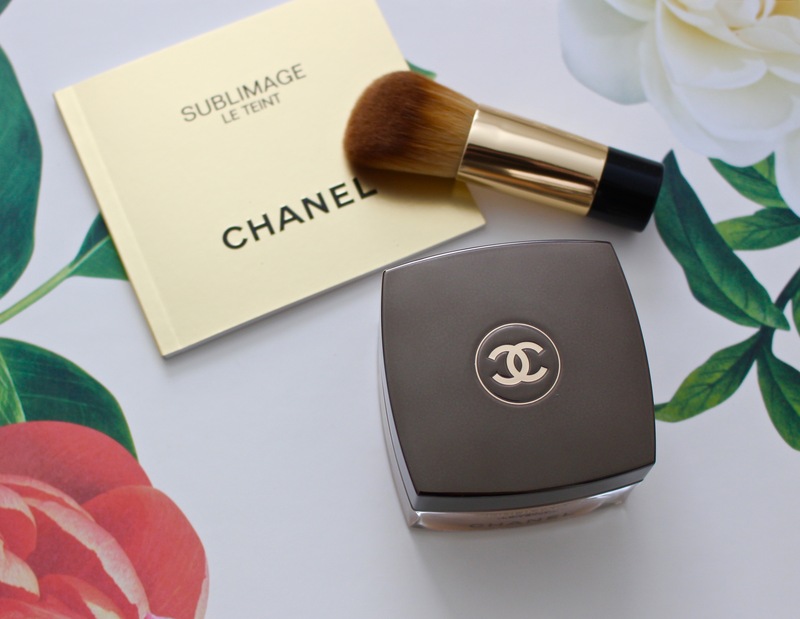 The Sublimage skincare line is the premiere, most comprehensive and luxurious line offered by CHANEL. The main ingredient in all of the products is called vanilla planifolia, it’s the fruits and flowers of the vanilla plant harvested in Madagascar. CHANEL scientists and dermatologists discovered that when applied to the skin, vanilla planifolia helps increase density, evenness, radiance and boost moisture. That same ingredient makes the foundation feel so wonderful on the skin. Vanilla Planifolia water gives the foundation serious skin care benefits while diamond powders help reflect light and give the skin a dewy, healthy glow. The new foundation also comes with an angled face brush and spatula to apply the product to the skin. Dear Erin, Loving your youtube channel, can you please indicate which colour you use in sublimage foundation?